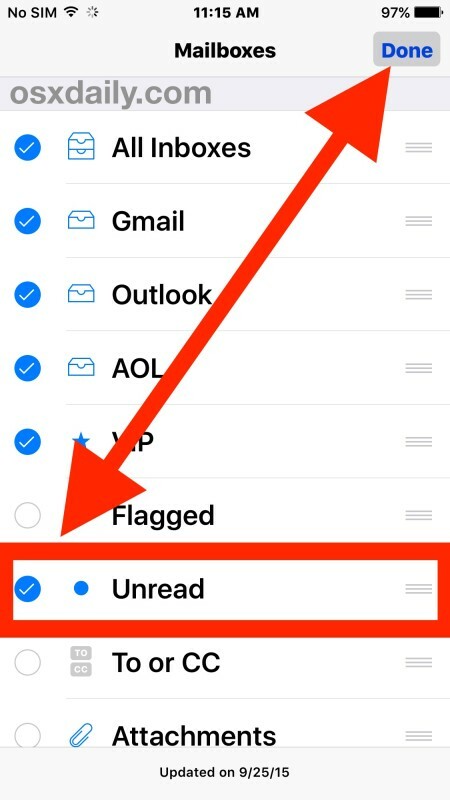 It’s easy to fall behind on email and let unread messages build up over time, but the iOS Mail app offers an excellent solution to this problem by allowing users to enable a hidden optional “Unread” only email message inbox on their device. Just as it sounds, the Unread message mailbox will display only the unread email messages that are within the Mail app of an iPhone or iPad, letting users greatly improve their email workflow and productivity. This can be in invaluable solution for those of us who are routinely overburdened with tons of emails, as it puts the requiring action unread message right in front of you, ready to be marked as read, responded to, forwarded, trashed, or triaged in another manner. 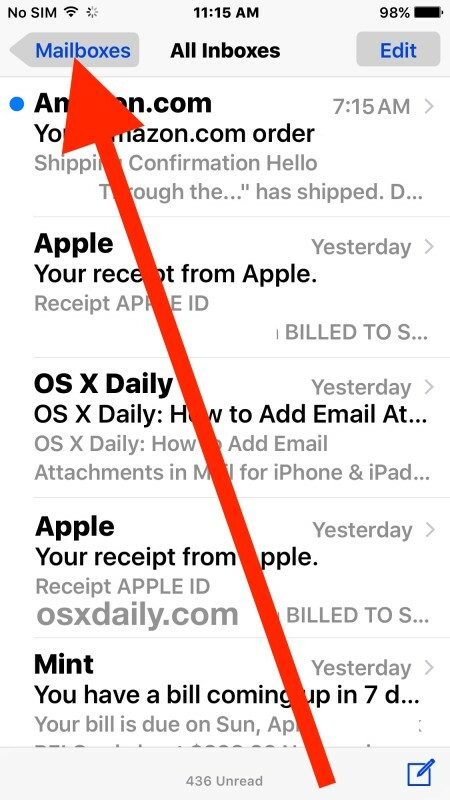 This tutorial will walk through enabling this incredibly useful mailbox option in the Mail app on any iPhone, iPad, or iPod touch. Mail users can return to their normal “everything” inbox by returning back to the “Mailboxes” view and choosing “All Inboxes” again, or selecting an individual email account, or another mailbox, as desired. The Mail app in iOS has several other hidden mailbox options, with this Unread inbox and the email attachments inbox being perhaps the two most useful for those aiming to improve their email productivity. For those users who have a Gmail account, you can use a special inbox sorting trick to show unread message in Gmail in the web client as well, which is equally as useful if you juggle between the iOS Mail app and Gmail.com in a web browser on another machine. So, rather than hide the unread mail number on the icon, why not enable the unread-only mail inbox and tackle your emails head on? Even if you aren’t overloaded with hundreds of emails and mail messages every day on your iOS device, this can still be a great way to handle Mail on an iPhone or iPad, so give it a try. This will only show unread mail in the “Inbox” folder. Any unread mail in any other folder will not be shown, unlike the “is:unread” search function in Gmail. Correct, this shows unread emails in your email inbox. Where else do you store emails if not your inbox? Good tip by the way, thanks I am using it now. 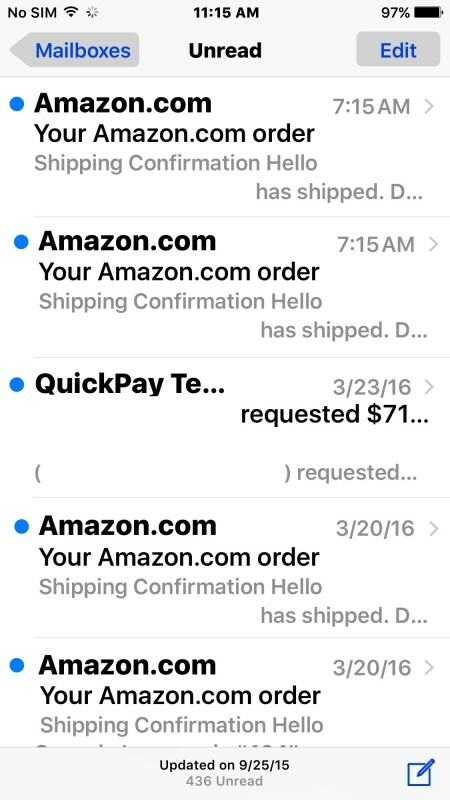 I could spend all day in email, if only it paid! A lot of salaried office jobs are basically email jobs, but those are boring to me. I will keep the technical work and ignore most emails, heh. Using filters and rules, some emails are automatically delivered to certain folders. So, this tip will not list those emails. I actually have many folders set up so i can “sort” my email. Most of them so not show up in the Unread folder. I have to click on each folder for it to update by downloading. Fortunately, the unread ones are the most recent ones, unless I ignore an older msg, so they are easy to find. I agree, this is very useful. I use the Unread inbox as my primary email box now on the iPhone. I also use the ‘swipe’ gestures on the inbox to mark as read and delete emails in this screen. Have followed steps – no unread mailboxes to display. Using exchange and yahoo. 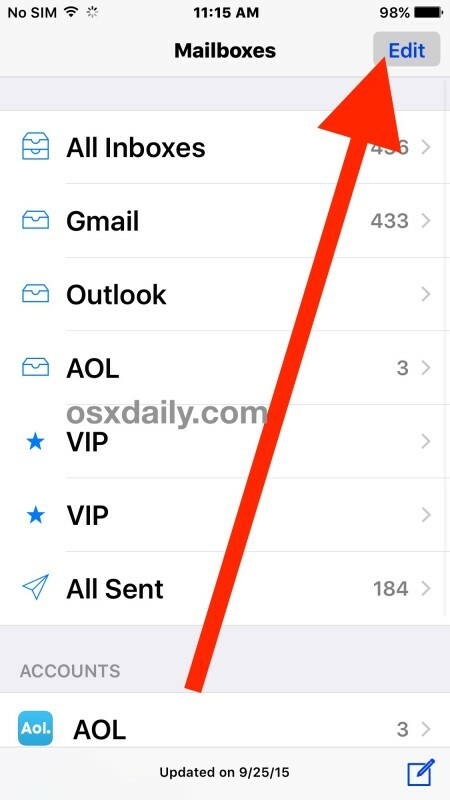 If you’re on a modern version of iOS and you follow the steps as described you can enable the Unread inbox. If that does not apply to you, then you can not enable it because it’s not available in old versions of software. It’s that simple. This is not entirely useful if you have more than one mailbox. I’d like to see the unread mail for only one of the mail boxes, but not the other. But this tip can’t do that. 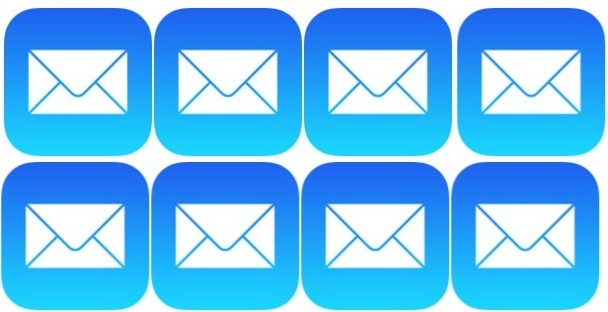 I have six email accounts on my iPhone and use this all the time, it’s very useful for multiple inboxes. The limitation you describe is Apple choosing to limit that, it should be available on a per mailbox level though, I agree. From all the things you have posted in this article, My eyes were on your inbox that has so many Amazon orders. Do you ever step out of office or home to buy stuff? JK ! Can’t find help elsewhere, so I thought I would try here. I get my work e-mails on my work phone. It used to be that if I was active on my desktop Outlook, the e-mails would not roll over to my phone except if: 1. My computer went inactive or 2. I closed down Outlook/went offline or 3. My phone happened to do it’s 15 minute check for e-mails at the same time there were e-mails making their way from the server but hadn’t yet come to Outlook. But since I got a new hard drive put in 3 weeks ago, and reinstalled Outlook, every single one of the e-mails go to Outlook and my phone. I have been all over the setting (both phone and Outlook), but I can’t figure out what I need to do to fix it back to the old way. I get about 150 e-mails a day, so I am having to delete every one almost every day. I deleted this e-mail account from my phone and reinstalled it, hoping that someone it might recognize itself as second in line to receive e-mails. But that didn’t help. Do you have any advice? By the way, I have an Iphone 6+. I had 1 unread email showing. I have followed all the instrustions to show the unread email. The window showed ‘No Unread emails’. But the inbox still showed 1 unread email. That was yesterday. Today it shows 2 unread emails. Same procedure to find the unread emails but again shows ‘No Unread emails’. Now inbox shows 2 unread emails. HELP! This is on my ipad and I use hotmail. I use both personally, it works for all email providers. Hotmail and Outlook and Gmail is what I use it for. Thank you! This advice saved me a lot of time.